Will Danny Elfman Use John Williams’ “Superman” Score in “Justice League”? When Joss Whedon stepped in to take over from Zack Snyder on “Justice League” (with Snyder stepping down due to a family tragedy), one of the first things he did was assign Danny Elfman to score the film, replacing Junkie XL in that position. In an interview with Billboard Danny Elfman talks about embracing certain themes for the iconic characters of DC Comics. You can read the complete interview at Billboard.com. What do you think of Elfman’s comments? How will you feel about hearing the familiar Superman theme at some point during the “Justice League” movie? yeah … the main take away from this piece is indeed the spoiler…. I really enjoy the MoS theme. I’d be disappointed if it’s gone, especially if this movie is supposed to wrap up the Superman arc from MoS and BvS. Unless I missed the news or plans have changed, there is one more Justice League movie next. Nope……JL2 is a no go unless, JL is a major hit in the cash register. I would love to hear the theme from”The Adventures of Superman”,as Kal-El comes to the rescue. The Dark Knight had it’s own theme instead of Danny Elfman’s 1989 Batman theme and it was a hit in it’s own way. PS: the Star Wars theme works still because the films are still part of the same continuity. One could also argue that the James Bond theme is also very recognizable, maybe more so than Star Wars. But I agree with what Elfman is saying. Technically true, but a sequel after this much time is still a reboot of the franchise. Superman Returns was supposed to be another chapter of the Donner films, but was a reboot of the franchise… until MOS came along as a TRUE reboot in every sense. Wow, Kal L, that was almost exactly what I was going to write. Now, I don’t have to. And let me add this; I am tired of the pounding drums stuff as in Man Of Steel. I prefer music that one can hum the melody. All I can remember about the MOS theme is “Boom-ba-boombity-boomity-boom-boom”. No comparison to the Williams theme whatsoever. Elfman is an old pro and will do the movie theme(ahem)justice. Steve I have never really been a big fan of Hans Zimmer’s score’s. And sadly my favorite composer this side of John Williams has now passed away, James Horner. I’m excited to hear what Elfman will bring to the table. Excited to hear the score now. My guess is that the film is going to tease an evil Superman. The audience and all the characters will worry only for Supes to be the hero the world needs. At least I hope that’s the case. I definitely agree with previous comments: I don’t want evil Supes. looking back to the trailer when we see what might be Supergirl? could it be that Superman will try to protect her? Sorry bro, Supergirl is not in this! 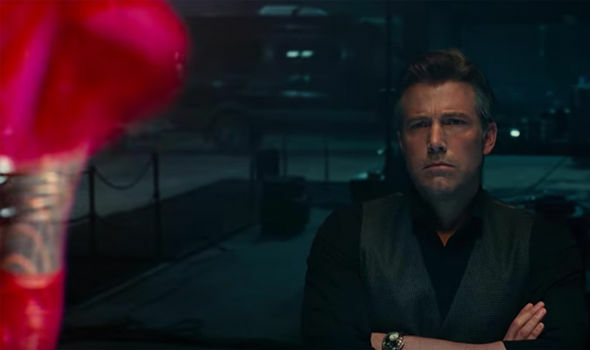 What you are referring to is a hologram Bruce looks at of Superman. No they’re not tattoo’s but the pattern on Superman’s suit. The main reason that everyone thinks it’s Supergirl is because from that angle the legs look really slender, and the red/orange tint to the curved verticle lines of the hologram, give it a flesh tone feel. Sorry bro, it’s not Supergirl… It is however a key scene for Bruce and Clark’s relationship! No this is a different universe and a different superman. 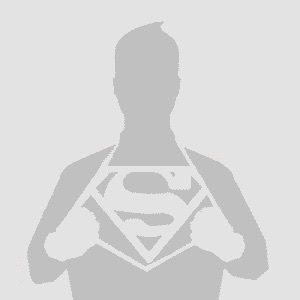 Use Hans Zimmers man of steel theme for superman. I hope it’s just a musical cameo. It wouldn’t make sense to replace the Zimmer theme completely. I like it a lot, too. Meh, not that it’ll happen, but feel free to scrap Hans’ score completely for all I care. I know I’m in the minority, but I never understood why people insisted it was so EPIC!!!!1!1!!!11111!! It sounded like a room full of kids banging trashcan lids with sticks while a few violinists did the musical equivalent of an improv session. Well. Anyone worried or think that the MOS theme is non existent, go back to the last trailer, the MOS melody is worked in to the music. and its not from the last 2 films either.
. Oh give me a freaking break!